Our standard Chaud Devant Apron is characterised by a simple and minimalist design and as a result is very agreeable to wear. 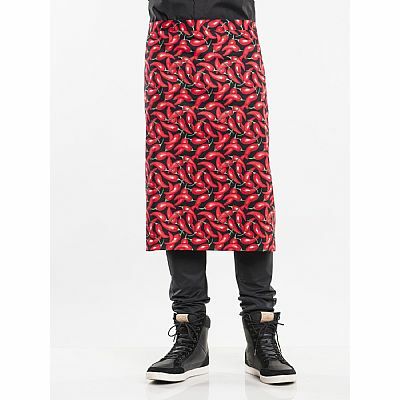 The Chaud Devant Chili Pepper Apron has a delightfully eye-catching design. 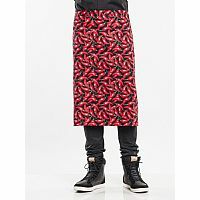 The bright red peppers give it a cheerful and Spanish look. 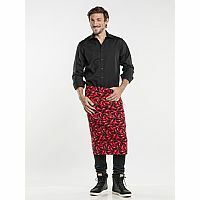 The Chili Pepper Apron is a half-length apron that can be fastened at the top.